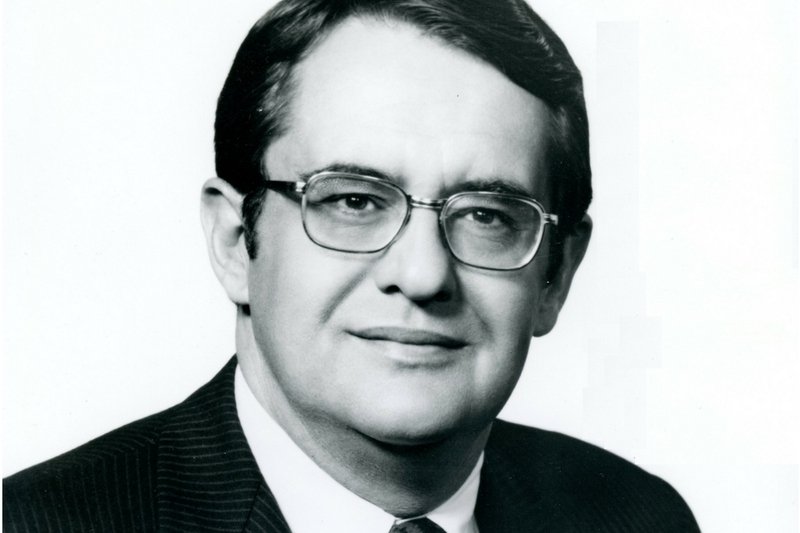 Peter G. Peterson, who served as Secretary of Commerce under President Nixon, died March 20 of natural causes. He was 91. Peterson joined the Nixon administration in 1971, serving as an Assistant to the President for International Economic Affairs and Executive Director of the Council on International Economic Policy. The following year President Nixon appointed him the 20th United States Secretary of Commerce in 1972. Peterson became one of the most successful and influential businessmen of his time. He was chairman and CEO of Wall Street firm Lehman Brothers in the 1970s and early 1980s, co-founded the private equity firm Blackstone Group in 1985, and was chair of the New York Federal Reserve Bank from 2000 to 2004. He created the Peter G. Peterson Foundation in 2008 to raise public awareness about the dangers of high deficits and excessive spending. Click here to read tributes at the website of the Pete G. Peterson Foundation. 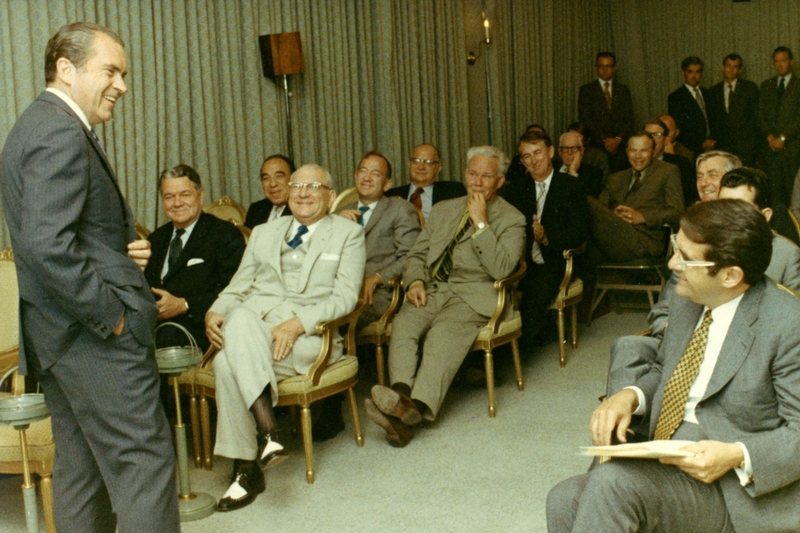 Photo: President Nixon introduces Peterson, Chairman of the Council on International Economic Policy, to bipartisan Congressional Leadership, June 1971.